The housing development’s quarter-acre community farm, when completed, will be a commercial operation that produces food for residents to buy and offers educational programs in planting, raising chickens and cooking organically. Developers say this kind of agricultural and residential integration fosters health, environmental sustainability and connection among residents. Wait … what? Are Sendero residents going to be allowed to raise chickens? Where is that in the HOA rules? The Village of Sendero has its very own farm. A community garden within a working organic farm means that neighbors can tend to plots of vegetables, herbs and flowers with the help of Sendero Farm’s own local agrarian pro. It’s the kind of place that cultivates real community—not to mention flavorful and nutritious produce for salads and sides. About 450 acres of lemon and avocado orchards and 17,000 acres of preserved open spaces surround Sendero. It’s all part of historic Rancho Mission Viejo, a 130-year-old family-owned farm and cattle business that is the largest citrus producer in Orange County. We might take issue with the story in this regard. The statement above isn’t quite accurate as written. Residents can’t access much of those 17,000 acres of open space currently — although maybe they will in the future. And those lemon and avocado orchards are currently surrounded by barbed wire fences and ominous no trespassing signs, some only recently installed. In all seriousness, Sendero is barely a year old and development is underway in adjacent Planing Area 2, so we’ll be patient. 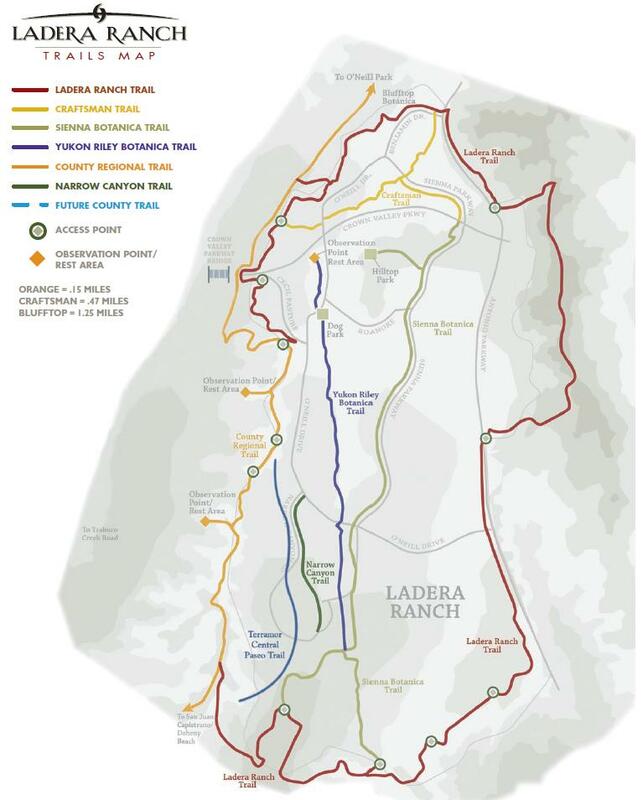 That being said, as much as Rancho Mission Viejo has marketed the Ranch Plan as being “connected to the land,” we hope the reality eventually matches the marketing materials.